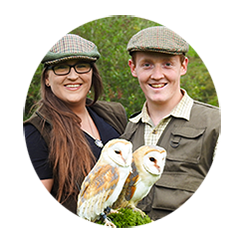 Welcome to E & C Falconry, owned and operated by Eddie and Cara! 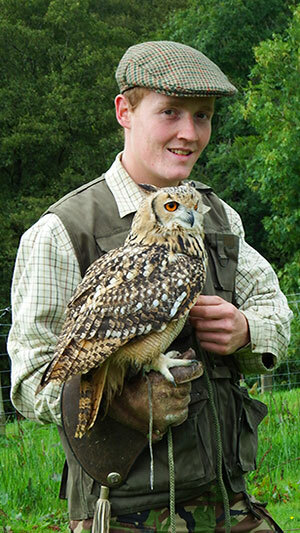 We have been involved with birds of prey for more than a decade, and have years of experience exploring the Welsh outdoors, riding, hunting, walking and flying Birds of Prey. Our experiences are personal, engaging and interactive and we can provide you with one-on-one or group sessions. Visits are available by pre-booking only so there’ll be no crowds or queues – just yourself and whomever you bring along! Enjoy insight into the World of Falconry with our Introduction to Falconry Session, handling and flying a wide variety of our amazing birds and taking away with you pictures and videos to capture once in a life time experiences and memories. If you like wildlife, animals, the beautiful Welsh countryside or just trying something new, bring the family and come along on a Hunting Exhibition where you will experience these amazing birds both majestic and powerful up close and in their natural environment! We cover all events such as children’s parties, school fates, weddings, birthdays, displays, shows, and other special occasions. If you can’t come to us, we will come to you! You can choose which bird you would like to meet and handle. Depending on your wishes for your day, we will design a package to suit you. For more information please feel free to email, call or Facebook us for more information. Eddie has been captivated with hunting and the outdoors since early childhood. He has bred, cared for and raised a wide range of animals and a passionate Falconry hobby has now turned into a way of life. He has a natural ability with the birds and enjoys talking to visitors and guests and passing on his experience, knowledge and enthusiasm for the craft. He can usually be found doing flying displays, introducing birds of prey to children in schools, or even encouraging pigeons to move on from local stores with a Harris Hawk! Cara has enjoyed the outdoors, horses, dogs and array of pets since early childhood. 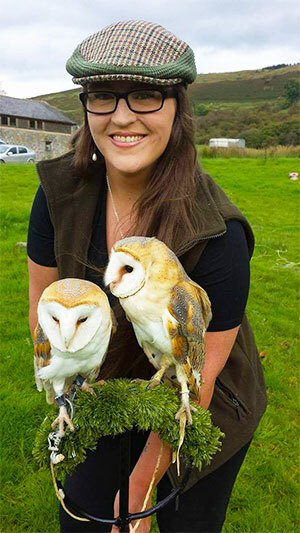 Growing up in Mid-Wales has allowed her to experience nature, wonderful adventures and outdoor activities that have evolved into a love of working with Birds of Prey and all it encompasses. Her mission at E & C Falconry is to educate the public through hands-on experiences, free flying birds of prey, preserving the art of falconry and the need for conservation.